Heeft u een vraag voor Hotel Yankin? Hotel Yankin is gelegen in Inya Lake in Yangon en een uitstekende keuze voor een ontspannen verblijf. Het hotel ligt 8 km van het stadscentrum en de belangrijkste faciliteiten zijn dus goed bereikbaar. Ook gemakkelijk te bereiken zijn Gmc Genki Medical Center, Aung Yadana Hospital, Parami General Hospital. Bij het Hotel Yankin staan de excellente dienstverlening en superieure faciliteiten garant voor een onvergetelijk verblijf. Gasten kunnen gebruikmaken van hotelfaciliteiten als 24-uur roomservice, gratis wi-fi in alle kamers, 24-uur beveiliging, dagelijkse schoonmaak, ticket service. De ambiance van het Hotel Yankin weerspiegelt zich in de inrichting van de kamers. plasma tv, internet (draadloos), draadloos internet (gratis), rookvrije kamers, airconditioning zijn slechts enkele van de faciliteiten die u ter beschikking staan. De recreatieve faciliteiten van het hotel, inclusief tuin, zijn ontworpen voor maximale ontspanning en onthaasting. 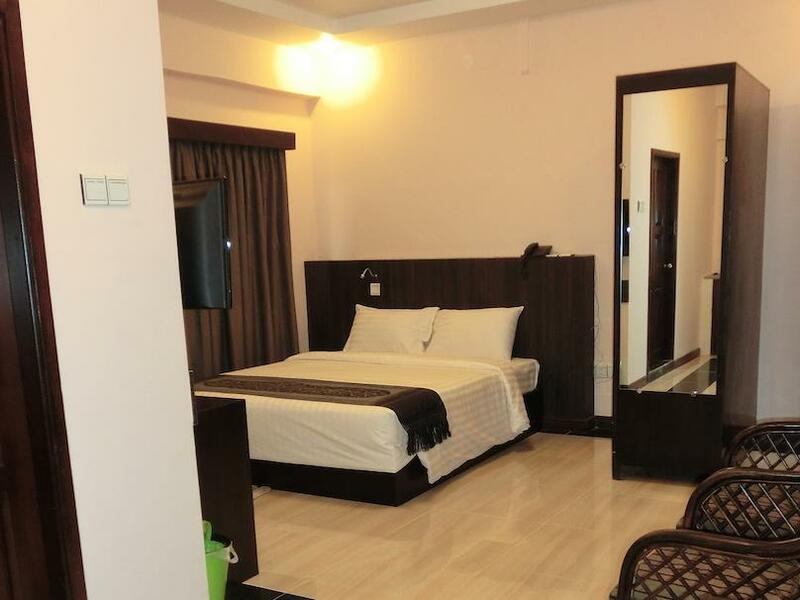 Fantastische faciliteiten en een uitstekende locatie maken het Hotel Yankin de perfecte uitvalsbasis om van uw verblijf in Yangon te genieten. I have been staying at the Yankin hotel since January 7th and have made it my home whilst staying in Yangon. I have now booked through to the end of June. 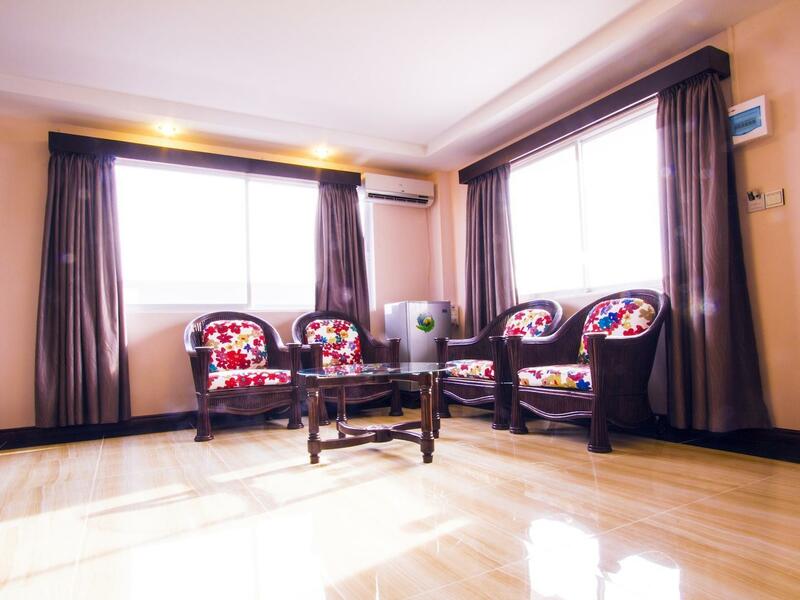 The location is convenient and the room and service excellent. Staff are helpful and the breakfast is good. Everything I need and excellent value for money. The hotel is close to where I work and represents great value for money. Everything I need, including a good breakfast each morning with plenty of variety. 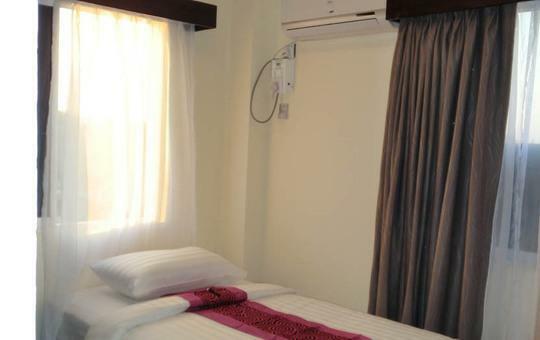 The room is well appointed with all amenities such as satellite TV, fridge, tea/coffee, safe etc. Bathroom and shower is also excellent. I have been staying at the Yankin hotel for r weeks now and will continue to do so for the foreseeable future. I love the hotel, breakfast and the service. My only complaint is the bed in the single room was very uncomfortable. It was too hard and the springs in the middle were sticking into my back. Otherwise everything else was great. 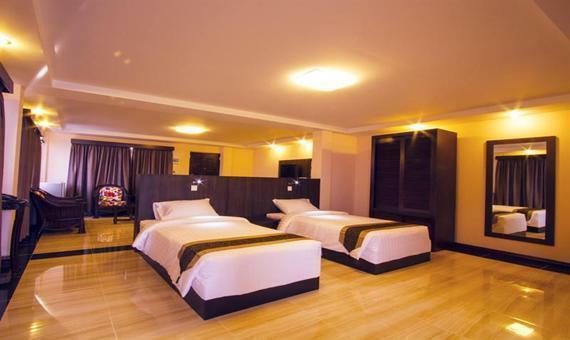 3 star hotel with basic facilities. Location is not perfect but main shopping centre at Myanmar Plaza with restaurants and banks and Drinking joints can be reached by taxi for 2000k/2500kyats. The tea shop infront of the hotel has nice and cheap local food. The staff at the hotel were very friendly and obliging. Really enjoying staying in this hotel. Value for money and service is good. Even though I was brought up in this area when I was young. I know the place. Good to see all my family and friends close to where I stay. I will recommend this hotel to others. I hope I will stay again on next trip back to Yangon. 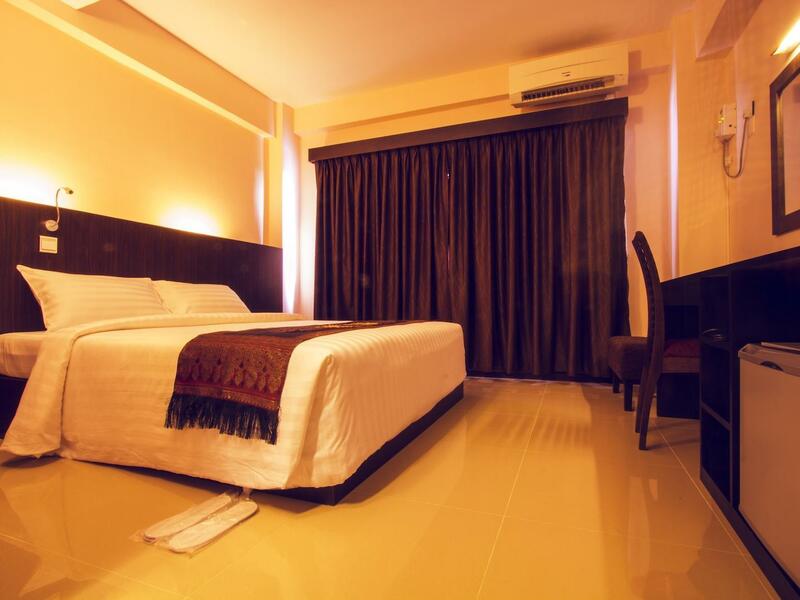 I travel to Yangon about 3 times per year, and Hotel Yankin is my favorite place to stay in the city. Yes, it is a bit outside of downtown, but it suits me to be in a quieter neighborhood. Everything else about the hotel is perfect: friendly staff, terrific facilities, great wifi connection, and excellent buffet breakfast with a wide range of choices. All of this at a very affordable price. I highly recommend it!! That was my fourth time came back to this hotel. I usually email directly to the hotel for my bookings because they give special rates to the returning guests like me. But this time i booked through Agoda because of my very last minute plan to come Yangon. 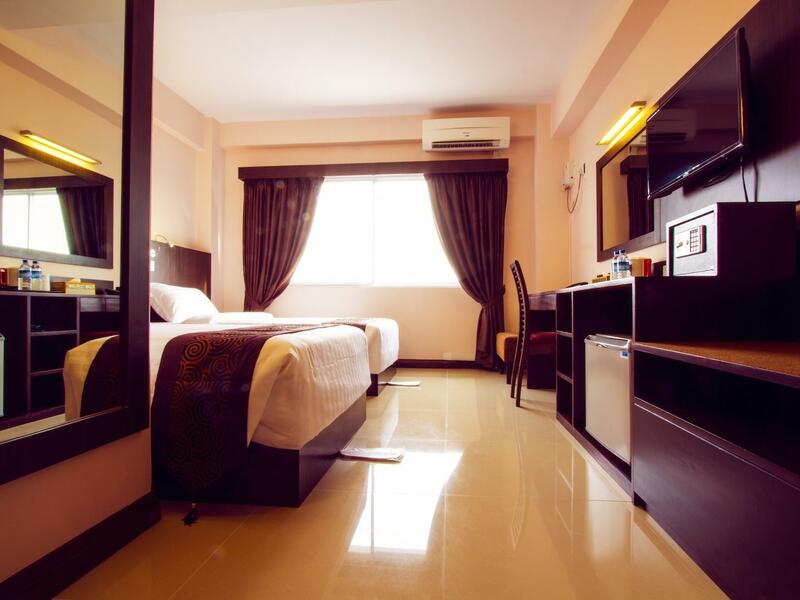 Hotel Yankin is good value for money and convenient for me to go around different parts of Yangon. Staff were friendly and some helpful. The breakfast buffet were poor not really a choice. The cleanness was on the buffet not always 👍. 🐜 and other insects were on the table or in the cup. Also some noise during the nights, talks from staff and drunken guests, and while we had breakfast, loud uncivilized talks from guest were annoying. Reasonable price and amenities. The room I stayed was quite spacious for a solo business traveller like me. The hotel provides good buffet breakfast. When I checked-in, the staffs verified me against my passport. They noted my birthday, which was happened to be during my stay at the hotel. The staffs prepared a nice cake and wished me "happy birthday" in the morning my birthday. It was indeed a wonderful surprise and a great touch as I was far away from family and friends. The hotel was well managed by staffs from all level. Starting from the concierge to the hotel manager. They really pay attention to the guests' needs diligently. When I had my first breakfast, I realised that the fruit segment was not prepared properly because of lack of utensil to cover the fruits. After highlighting to the hotel manager. It was rectified immediately and on the following morning, the fruits were hygienically covered with new utensils. Well done! Keep up the good job! Clean rooms with good simple design. Friendly staff. Effective hotel services. I came into Yangoon exhausted and with not much time. I needed to hit the ground running to have a good experience my first time in Myanmar. The Yankin hotel helped me do that, saving me from potential aggregation while booking travel and accommodations. I would definitely return. It was both memorable and enjoyable, even during the busy and auspicious November full moon celebration, when traffic is bad and the temples are packed. 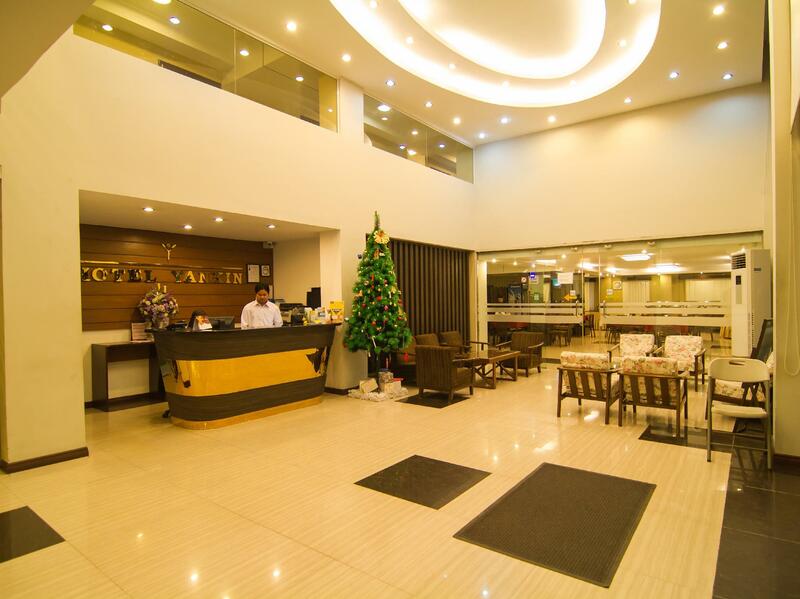 I was stayed at Hotel Yangon at 21 Mar 2018. I was booked Deluxe Penthouse Room but they said this room is need to repair due to long stay guest. 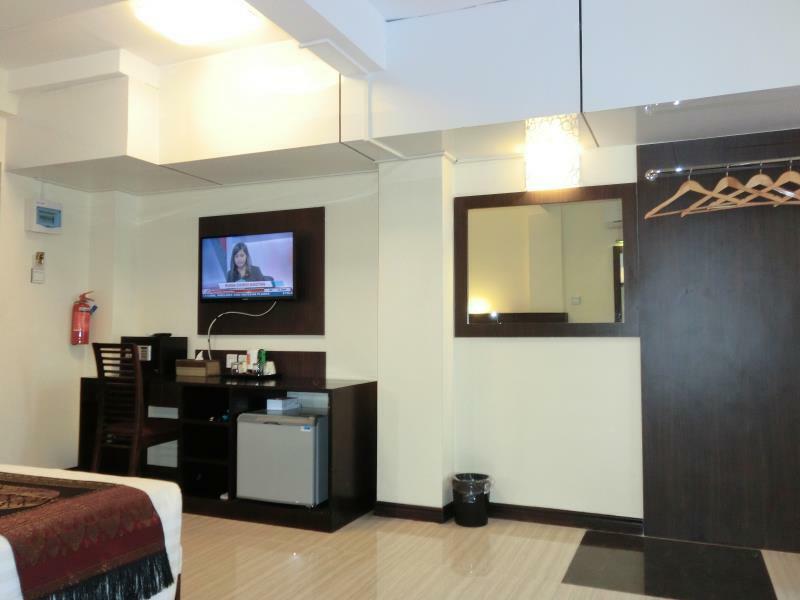 So, they offer to stay Normal Deluxe Room without any request or upgrade. It is very bad. Good location. Decent place and the right price. 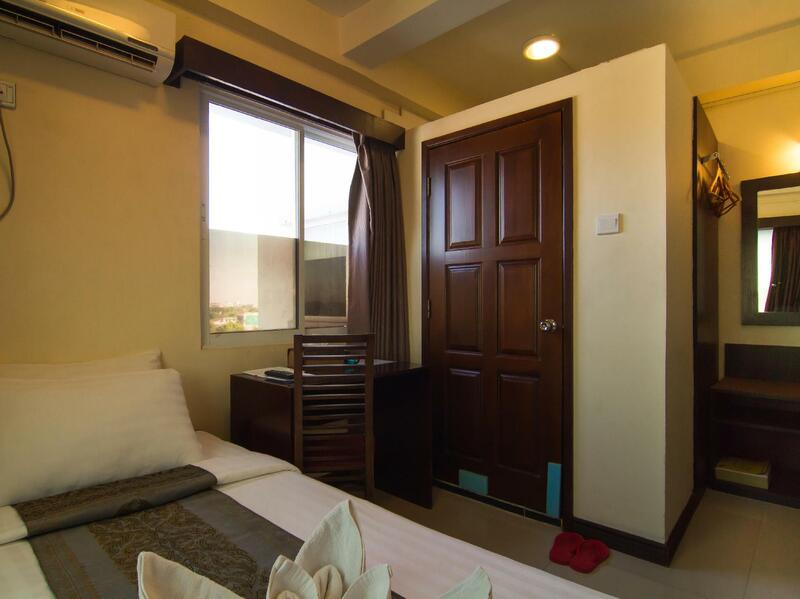 Ideally located between the bus station/airport and downtown. Nice apparently new building that was clean. Good value. Only cons are that airport pickup is only an option if confirmed a week in advance, and staff would not allow us to eat early to accommodate an common bus departure time even though we could see the food was ready. 1. Not so welcoming 2. Rooms are of poor make - reveals signs of a very incomplete building finished with a cheap workmanship. Bathrooms are very tight and cheap. 3. Provided wrong information about time estimation for morning airport trip 4. Missed the breakfast bcoz of wrong information (3) 5. When we asked for early breakfast arranagement they promised to give parcels. In the morning we saw it was the same parcels which were kept at reception at night, after our night walk from Mynmar Plaza. There were 2 fruit cake packets which were about to expire next day, an egg, ripen banana and soymilk packet which cannot be consumed. Poor breakfast parcel in short ! POOR HOSPITALITY... NOT RECOMMENDING AT ALL.